Our Stuxnet analysis is a milestone in cyber forensics. Here is the one-stop place where you can access our most consequential material. In the summer of 2010, a malware of unprecedented complexity made the news. It used multiple zero-day exploits, and was dubbed “Stuxnet” by anti-virus companies. Even though it proved to be the most sophisticated piece of malicious code known to man, nobody had a clue what its purpose was. The simple reason was, because all IT security experts were looking in the wrong direction. 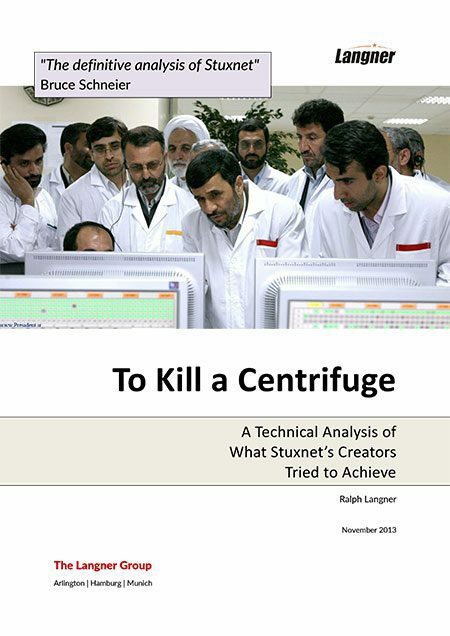 Stuxnet didn’t act like any previous malware before. Its objective was not the theft or manipulation of data. 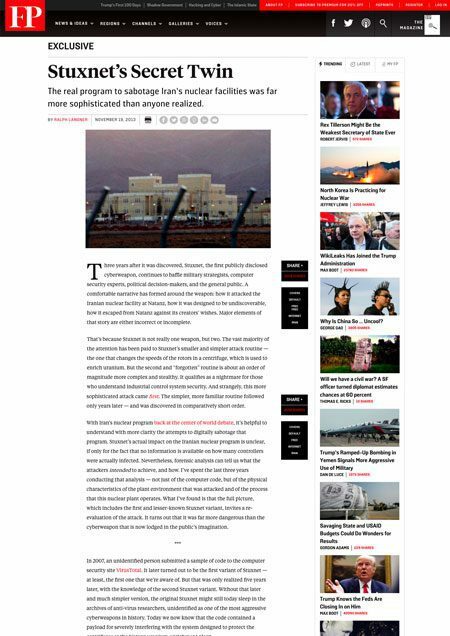 It was the physical destruction of gas centrifuges in the Natanz fuel enrichment plant, the crown jewel of Iran’s nuclear program. – analyzed the exact details of how this attack, or more accurately: these two attacks, were intended to work. Langner’s Stuxnet analysis team, from left to right: Ralf Rosen, Andreas Timm, Ralph Langner. 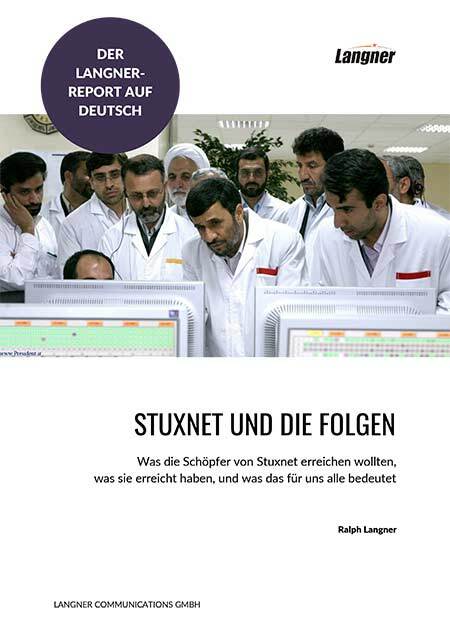 Picture taken on Sep 16, 2010, when we published that Stuxnet was a targeted cyber-physical attack against the Iranian nuclear program. A summary of three years of forensic analysis, with a special focus on how the two versions of Stuxnet are dramatically different, and what that means for understanding the campaign.